The voice of main character, Eddie Corazon was strong, confused, and angry but once he met Lupe, Eddie begins to awaken to what life can hold for him. Eddie still makes some bad mistakes and his humor is often biting but so is his life. He doesn't get along with his dad, has a major attitude, lives in a rundown area of New Mexico, and uses humor and sarcasm to describe his friends, teachers, school and just life in general. There are gangs, drug dealers, criminals that populate Eddie's world. But we find out pretty quick Eddie is a secret reader, he listens in class, and wants to be more than a "poor Mexican kid from a bad neighborhood" and with the help of Miss Beecher, a short-lived teacher in his school; Lupe a girl Eddie meets at dance class; Sgt Cabrera who sees something in Eddie and gives him a book to read after escorting her through his school, and finally getting arrested and sent to live with a trusted family friend, Eddie starts to get it....A book for reluctant readers, teens who enjoy urban fiction, and those who like romances, multicultural literature, this book will appeal to everyone---JUST read it! 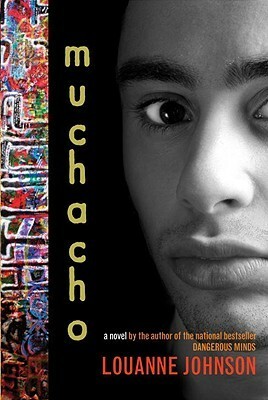 Sign into Goodreads to see if any of your friends have read Muchacho.